^ Katarzyna Kłosińska, University of Warsaw (December 16, 2016). "Astronauta a kosmonauta". PWN. Retrieved April 6, 2019. ^ Cherry, Jonathan D.; Frost, Jeffrey L.; Lemere, Cynthia A.; Williams, Jacqueline P.; Olschowka, John A.; O'Banion, M. Kerry; Liu, Bin (2012). Feinstein, Douglas L (ed.). "Galactic Cosmic Radiation Leads to Cognitive Impairment and Increased Aβ Plaque Accumulation in a Mouse Model of Alzheimer's Disease". PLoS ONE. 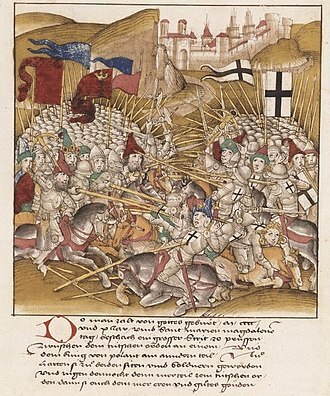 7 (12): e53275. Bibcode:2012PLoSO...753275C. doi:10.1371/journal.pone.0053275. PMC 3534034. PMID 23300905. ^ YOUNG, LAURENCE R. (May 1, 1999). "Artificial Gravity Considerations for a Mars Exploration Mission". Annals of the New York Academy of Sciences. 871 (1 OTOLITH FUNCT): 367–378. Bibcode:1999NYASA.871..367Y. 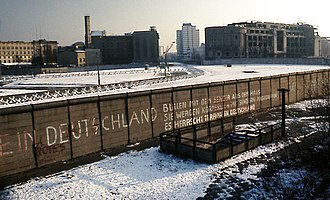 doi:10.1111/j.1749-6632.1999.tb09198.x. ISSN 1749-6632. ^ "Radiation can impact astronauts' memory temporarily: Here's all you need to know | Health Tips and News". www.timesnownews.com. Retrieved April 10, 2019. Gennady Ivanovich Padalka is a Russian Air Force officer and an RKA cosmonaut. Padalka has spent 879 days in space, more than any other person and he worked on both Mir and the International Space Station. Padalka is married to Irina Anatoliyevna Padalka and they have three daughters, Yuliya and Sonya. He enjoys the theater, parachute sport and diving, Padalka graduated from Yeysk Military Aviation College in 1979. After graduation, he served as a pilot and a pilot in the Russian Air Force. He has logged 1500 flight hours in six types of aircraft as a First Class Pilot in the Russian Air Force, in addition, he has performed more than 300 parachute jumps as an Instructor of General Parachute Training. 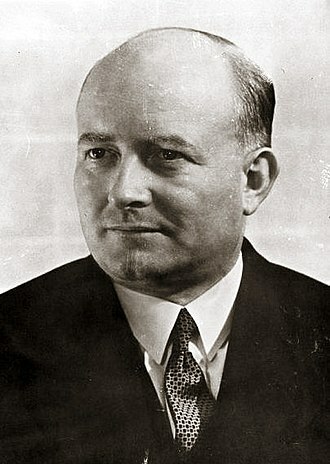 Padalka worked as an engineer-ecologist at the UNESCO International Center of Instruction Systems until 1994 and he is an investigator for the Advanced Diagnostic Ultrasound in Microgravity Project, a US Government funded study investigating strategies for applying diagnostic telemedicine to space. 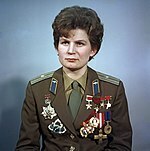 Padalka is a recipient of the Hero Star of the Russian Federation and he is decorated with Fatherland Service Medal fourth class, Medals of the Russian Federation and Medal of the International Fund of Cosmonautics support for Service to Cosmonautics. Padalka is a winner of the Russian Federation Government in the field of science. Gennady Padalka was selected as a candidate to start training at the Gagarin Cosmonaut Training Center in 1989. From June 1989 to January 1991, he attended basic space training and in 1991 was qualified as a test-cosmonaut. 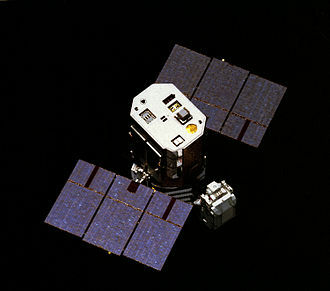 On 8 February 1999 at 11,23 GMT Padalka and Avdeyev undocked from Mirs -X port in Soyuz TM-28 and he returned to Earth on board the Soyuz TM-28 capsule on 28 February 1999. The Soyuz TM-28 undocked from the Kvant rear docking port on 27 February at 22,52 GMT, Padalka accumulated 198 days and 16 hours of space travel during the mission. From June 1999 to July 2000, Padalka trained for a flight on a Soyuz-TM transport vehicle as an ISS contingency crew commander. William Brian Binnie is a former United States Navy officer and is one of the test pilots for SpaceShipOne, the experimental spaceplane developed by Scaled Composites. Binnie was born in West Lafayette, where his Scottish father William P. Binnie was a professor of physics at Purdue University, the family returned to Scotland when Binnie was five, and lived in Aberdeen and in Stirling. When Binnie was a teenager the family moved to Boston, Binnie, an alumnus of Brown and Princeton Universities, served for 21 years in the United States Navy as a naval aviator flying the A-7 Corsair II, A-6 Intruder, F/A-18 Hornet, and AV-8B Harrier II. He graduated from the U. S. Naval Test Pilot School in 1988, Binnie copiloted the Atmospheric Test Vehicle of the Rotary Rocket. In 2006, he received an Honorary degree from University of Aberdeen, on October 4,2004, he piloted SpaceShipOnes second Ansari X Prize flight, flight 17P, winning the X Prize and becoming the 435th person to go into space. His flight, which peaked at 367,442 feet, set a winged aircraft altitude record and it earned him the second set of Astronaut Wings to be given by the FAA for a flight aboard a privately operated commercial spacecraft. In aeronautics, a balloon is an unpowered aerostat, which remains aloft or floats due to its buoyancy. A balloon may be free, moving with the wind, or tethered to a fixed point and it is distinct from an airship, which is a powered aerostat that can propel itself through the air in a controlled manner. Many balloons have a basket, gondola or capsule suspended beneath the envelope for carrying people or equipment. A balloon is conceptually the simplest of all flying machines, the balloon is a fabric envelope filled with a gas that is lighter than the surrounding atmosphere. As the entire balloon is less dense than its surroundings, it rises, taking along with it a basket, attached underneath, which carries passengers or payload. 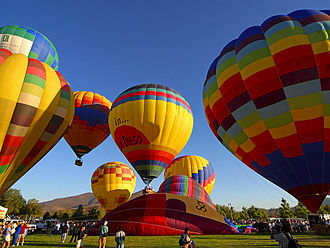 Although a balloon has no propulsion system, a degree of control is possible through making the balloon rise or sink in altitude to find favorable wind directions. There are three types of balloon, The hot air balloon or Montgolfière obtains its buoyancy by heating the air inside the balloon. The Rozière type has both heated and unheated lifting gases in separate gasbags and this type of balloon is sometimes used for long-distance record flights, such as the recent circumnavigations, but is not otherwise in use. Both the hot air, or Montgolfière, balloon and the gas balloon are still in common use, Montgolfière balloons are relatively inexpensive, as they do not require high-grade materials for their envelopes, and they are popular for balloonist sport activity. The first tethered manned balloon flight was by a larger Montgolfier balloon, the first free balloon flight was by the same Montgolfier balloon on 21 November 1783. When heated, air expands, so a given volume of space contains less air and this makes it lighter and, if its lifting power is greater than the weight of the balloon containing it, it will lift the balloon upwards. A hot air balloon can stay up while it has fuel for its burner. The Montgolfiers early hot air balloons used a solid-fuel brazier which proved less practical than the balloons that had followed almost immediately. 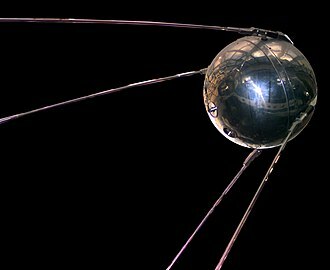 Since the first human spaceflight by the Soviet Union, citizens of 40 countries have flown in space. 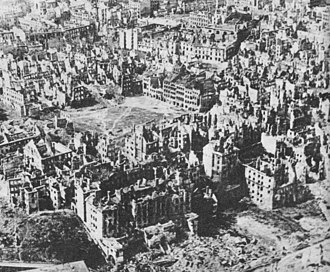 For each nationality, the date of the first mission is listed. The list is based on the nationality of the person at the time of the launch, only 3 of the 40 first flyers have been women. Only three nations have launched their own manned spacecraft, with the Soviets/Russians and the American programs providing rides to other nations astronauts, twenty-six first flights occurred on Soviet or Russian flights while the United States carried thirteen. Note, All dates given are UTC, countries indicated in bold have achieved independent human spaceflight capability. 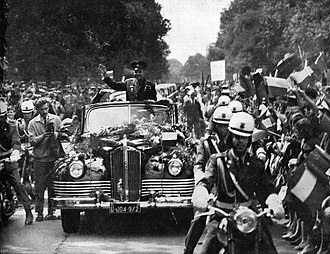 The first cosmonaut, Yuri Gagarin, held citizenship in both the Soviet Union and the Russian SFSR, according to the provisions of the Constitution of the Soviet Union. 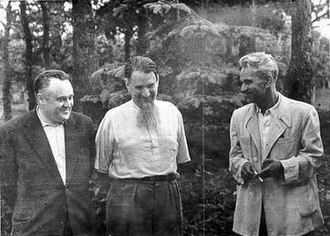 Kaleri and Viktorenko were the first Russians to be launched into orbit as Russian citizens only, under Fédération Aéronautique Internationale rules, the Vostok missions are not deemed true spaceflights, as cosmonauts did not land with the spacecraft. 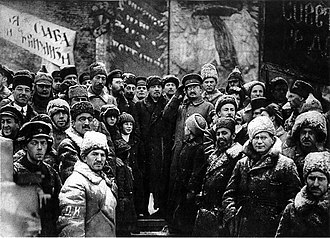 The first Soviet mission that did fulfill this requirement was Voskhod 1, despite this issue, the FAI does recognize Yuri Gagarin as the first person to complete a spaceflight. The first American to be launched into Earth orbit was John Glenn, in 1993, Czechoslovakia dissolved and was replaced by the Czech Republic and Slovakia. 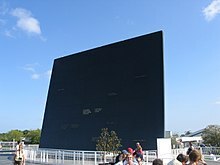 In 1978, both Jähn himself and the German Democratic Republic pronounced him the first German in space, rather than the first citizen of the German Democratic Republic in space, in 1990, the states of the former East Germany acceded to the Federal Republic of Germany. On 22 January 1992, Ulf Merbold again traveled into space, Jähn is, still considered the first German in space, even in the states of the Federal Republic of Germany that comprised the former West Germany. 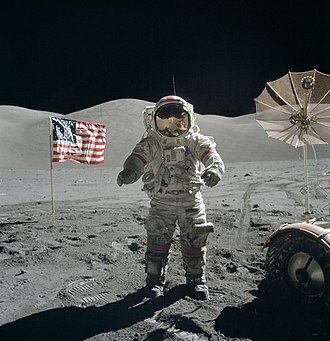 This person flew as a commercial, non-governmental space traveller, apart from Akiyama and Sharman, these space travellers are known as space tourists. Ilan Ramon was the first Israeli to go into space, this was not deemed a complete spaceflight under FAI rules. Bruce McCandless II, is an American former naval officer and aviator, electrical engineer, and former NASA astronaut. 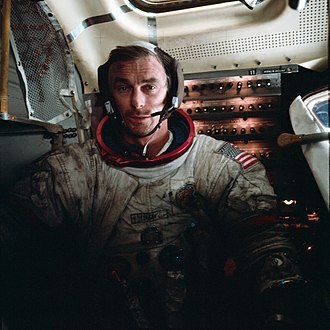 During the first of his two Space Shuttle missions he made the first ever untethered free flight using the Manned Maneuvering Unit in 1984, McCandless was born June 8,1937, in Boston, Massachusetts. 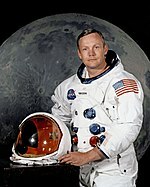 A third generation U. S. Navy officer, McCandless is the son of Bruce McCandless and he graduated from Woodrow Wilson Senior High School, Long Beach, California, in 1954. With his father having been awarded the Medal of Honor, McCandless was assured of being appointed to a military academy. In 1958 he received a Bachelor of Science degree from the United States Naval Academy, in 1987 he received a Master of Business Administration degree from the University of Houston–Clear Lake. 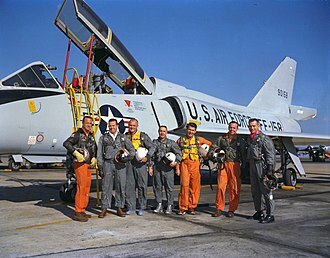 McCandless graduated second in a class of 899 from the U. S. Naval Academy, along with John McCain, subsequently, he received flight training from the Naval Air Training Command at NAS Pensacola, and NAS Kingsville, Texas. In March 1960 he was designated a Naval Aviator and proceeded to Naval Air Station Key West, for weapons system, between December 1960 and February 1964 he was assigned to Fighter Squadron 102, flying the Skyray and the F-4B Phantom II. He saw duty aboard USS Forrestal and USS Enterprise, including the participation in the Cuban Missile Crisis. 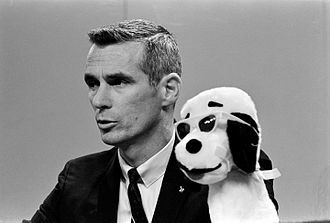 He logged more than 5,200 hours flying time, including 5,000 hours in jet aircraft, McCandless was selected as the youngest member of NASA Astronaut Group 5 in April 1966. 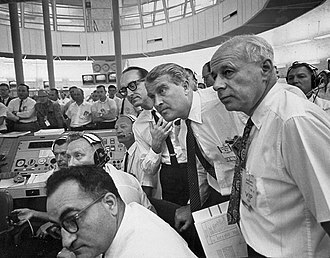 According to space historian Matthew Hersch, McCandless and Group 5 colleague Don Lind were effectively treated and he was a CAPCOM on Apollo 11 during the first lunar EVA before joining the astronaut support crew for the Apollo 14 mission, on which he doubled as a CAPCOM. He again served as a CAPCOM on Skylab 3 and Skylab 4 and he was responsible for crew inputs to the development of hardware and procedures for the Inertial Upper Stage, Space Telescope, the Solar Maximum Repair Mission, and the Space Station Program. 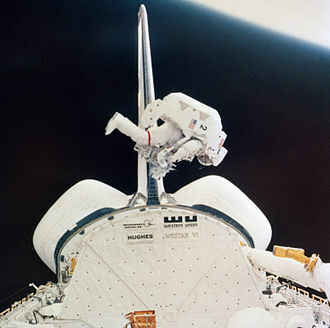 McCandless logged over 312 hours in space, including four hours of MMU flight time and he flew as a Mission Specialist on STS-41-B and STS-31. 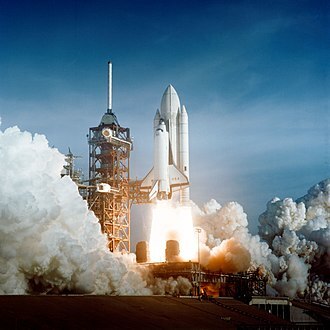 Challenger launched from Kennedy Space Center, Florida, on February 3,1984, the flight deployed two communications satellites, and flight-tested rendezvous sensors and computer programs for the first time. 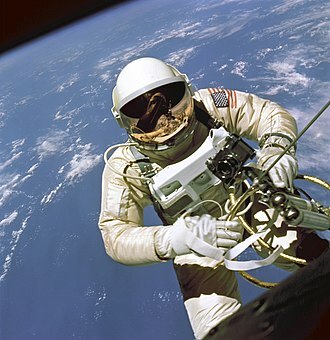 This mission marked the first checkout of the Manned Maneuvering Unit, McCandless made the first untethered free flight on each of the two MMUs carried on board, thereby becoming the first person ever to make an untethered spacewalk. After eight days in orbit, Challenger made the first landing on the runway at Kennedy Space Center on February 11,1984. 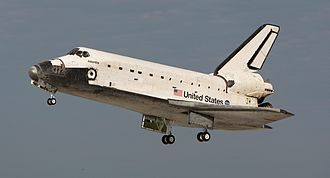 On this five-day Discovery flight, launched on April 24,1990 from the Kennedy Space Center in Florida, Discovery landed at Edwards Air Force Base, California, on April 29,1990. 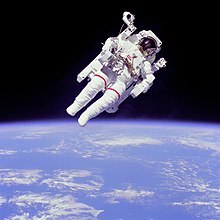 U. S. Naval Academy Alumni Association U. S. Prather Award National Aeronautic Association Collier Trophy Smithsonian Institution National Air, Astronaut Hall of Fame He was awarded a patent for the design of a tool tethering system that is currently used during Shuttle spacewalks. Mercury-Redstone 3, or Freedom 7, was the first United States human spaceflight, on May 5,1961, piloted by astronaut Alan Shepard. 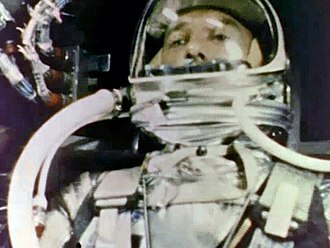 It was the first manned flight of Project Mercury, the objective of which was to put an astronaut into orbit around the Earth, Shepards mission was a 15-minute suborbital flight with the primary objective of demonstrating his ability to withstand the high g forces of launch and atmospheric re-entry. Shepard named his space capsule Freedom 7, setting a precedent for the remaining six Mercury astronauts naming their spacecraft, the number 7 was included in all the manned Mercury spacecraft names to honor NASAs first group of seven astronauts. His spacecraft reached an altitude of 101.2 nautical miles and it was the fourth Mercury flight launched with the Mercury-Redstone Launch Vehicle, from Cape Canaveral, close to the Atlantic Ocean. 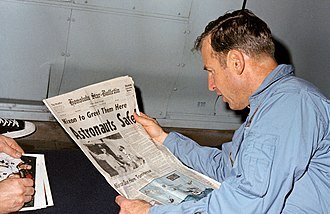 During the flight, Shepard observed the Earth and tested the attitude control system. He tested the retrorockets which would return missions from orbit, after re-entry, the capsule landed by parachute on the North Atlantic Ocean off the Bahamas. Shepard and the capsule were picked up by helicopter and brought to an aircraft carrier, the Freedom 7 spacecraft, Mercury capsule #7, was delivered to Cape Canaveral on December 9,1960. The booster originally intended for the flight, Redstone #3, had delivered to the Cape in early December, however. 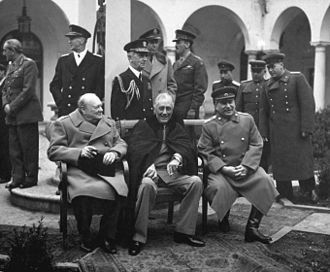 The replacement, Redstone #7, did not arrive at the Cape until late March, by time, however. 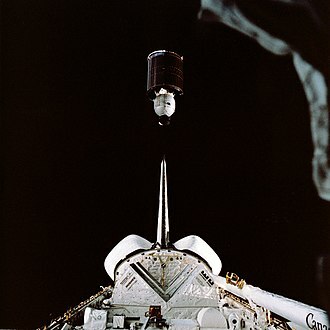 As a result, the mission was two minutes longer than planned, and the re-entry subjected the passenger to 14. 7g rather than the figure of approximately 12g. An additional testing flight was added to the schedule, MR-BD. This would launch on March 28, pushing the MR-3 flight back a month to April 25, the MR-BD flight was almost completely successful, ensuring that the manned MR-3 flight could proceed without further significant delay. 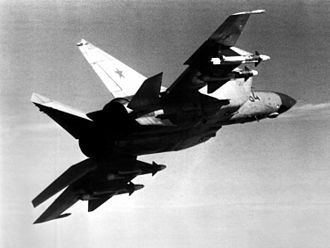 The pilot for MR-3 had been several months in advance, in early January, by the head of the program. 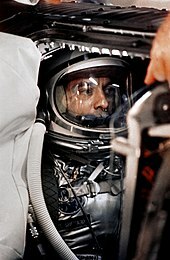 He had selected Alan Shepard as the pilot, with John Glenn and Gus Grissom as his backups. 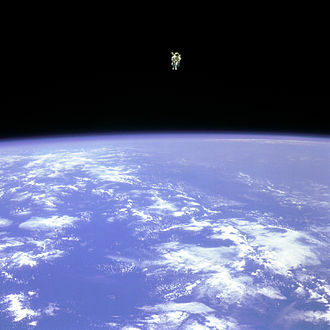 Bruce McCandless demonstrates the Manned Maneuvering Unit (MMU), floating in space above a clouded Earth. Astronaut Bruce McCandless exercises the Manned Maneuvering Unit. McCandless approaches his maximum distance from Challenger. Walker's X-1E was decorated with nose art of two dice and the name "Little Joe" (Little Joe being a slang term in the game of craps). Similar artwork reading "Little Joe the II" was applied to his X-15 for record-setting Flight 91. These were two rare cases of research aircraft carrying nose art. Expedition 9 commander Gennady Padalka inside the Zvezda module of the ISS. Expedition 20 commander Gennady Padalka inside the Pirs Docking Compartment of the Space Station with the PK-3 Plus laboratory. Padalka with his Orlan spacesuit in the Pirs Docking Compartment. 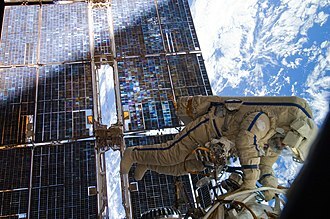 Gennady Padalka participates in a spacewalk to move the Strela-2 cargo boom from the Pirs docking compartment to the Zarya module in August 2012.